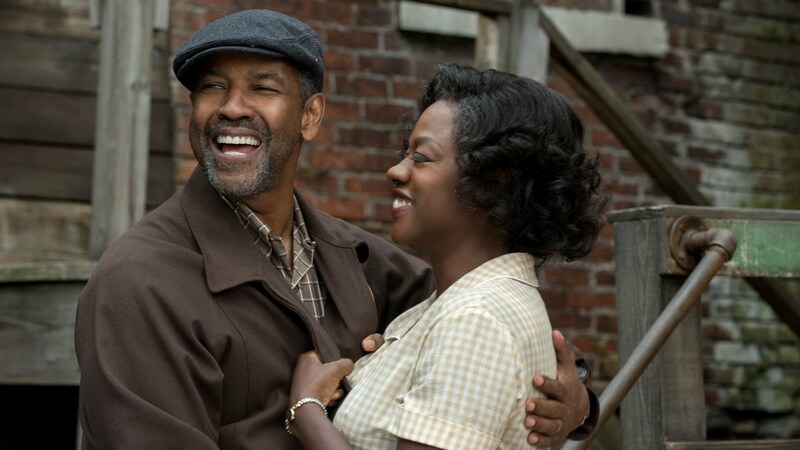 by David Friedfertig Denzel Washington returns to the director’s chair for Fences, a story about a dysfunctional African-American family living in 1950s Pittsburgh. Based on the play of the same name by August Wilson, the movie took a while to get made after the playwright insisted on having an African-American director helm the project. After three years of hinting at whether or not a movie adaptation would actually happen, Washington finally put the production together, and the result is an incredibly engaging and heart-wrenching drama that is just a little bit too similar to the source material. Much like 12 Angry Men or Glengarry Glen Ross, the dramatic tension in Fences comes from the dialogue between the characters. While the performances are all superb, the real highlight is the writing. Written by Wilson before his death in 2005, the script is a masterwork in tension and character evolution. All of the characters talk about subject matter that actual people would talk about. This combined with the powerful performances made me forget I was watching a movie and instead had me thinking I was actually watching a family go about their lives. The two obvious highlights of the cast are leads Washington and Viola Davis. Reprising their Tony-winning performances from the 2010 revival of the play, both actors give their all in this movie; their acting is filled with nuance and small details worthy of Oscar attention. Washington’s character, Troy Maxson, is more fleshed out however, as the film explores themes of death and family through Troy’s manner of dealing with the problems around him. There are many layers to Troy and the expression of those layers is extremely powerful due to Washington’s incredible performance. Much like with a real person, the audience’s perception of Troy changes over the course of the movie. At first, he seems like a really nice and enjoyable guy to be around, but as the movie goes on, his unsavory qualities rise to the surface. Playing this character also allows Washington to put his acting range on display. We see him exhibit different shades of anger, joy, and sadness, making him feel even more like a real, multifaceted person. Davis’s performance as Troy’s wife, Rose, is also impactful. She serves as a counterweight to her husband. While Troy is eccentric and boastful, Rose holds a lot of emotion back. Throughout most of the movie, Rose stays consistent in how she behaves around the family, but when she explores her full range of emotions, there simply is nothing else like it. No one can cry the way Davis can — she doesn’t just shed tears; she tries to remain calm, allowing her feelings to slowly trickle out. This inner conflict is on display for the audience to see in all of its painful beauty. She is both heartwarming and heartbreaking at the same time. The main plot focuses on the conflict between Troy and his son Cory (Jovan Adepo) fighting over whether or not he can play football. While this may sound simple, the dispute serves as a catalyst for the underlying issues facing the Maxson household including submission, following your dreams, and figuring out how to belong in society. Much like everything else, the disagreement contributes to Troy’s characterization, as his reactions help the audience learn more about him. The ensuing arguments between father and son, as well as those involving the rest of the family, are where the movie truly shines. The writing and performances fully come together in displays of angst that are simply engrossing. The other subplots (such as one concerning Troy’s mentally disabled brother and another about Troy’s son from a previous marriage) do not feel superfluous and are used to further develop and unpack the characters. While it may feel crowded at first, the storylines all tie into each other with ease. A significant portion of the movie is basically the play translated onto the silver screen, but there are a couple of slight differences from the theatrical production. While the Broadway show takes place all in one location (the Maxson household), the movie takes a couple of minutes throughout to show the characters in different locations. These shots provide some visual variety, and give the audience some breathing room to adjust to the characters’ recent actions. Despite the near-perfection of Wilson’s script, it would have been nice to see a few new changes done when adapting the play into a movie. At some points, it feels as if it’s treading familiar ground when comparing the movie to its stage play counterpart. However, the performances often lessen the effect of such repetition. Fences is a movie that people watch for the acting. Every performer is at the top of their game, delivering lines from an incredibly detailed script. While it doesn’t have the obvious, explosive, climactic moments that are in most movies, this is still a film that everyone should see. Regardless of whether or not you’re familiar with the play, Washington’s big screen version is a must-see.